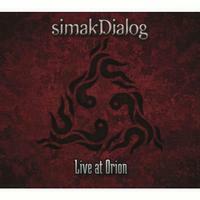 Simak Dialog’s brand of music has a lot of fusion and a lot of progressive rock at its heart. 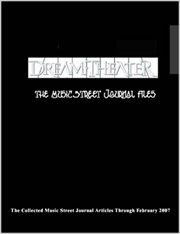 Jam band sounds, world music and more complete the picture. 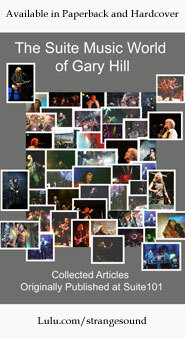 This live album is quite a strong one. These guys manage to weave some fascinating and unusual sounds during a live performance. For those, like myself, who aren’t likely to get to see this outfit live, this makes for a suitable replacement to the experience. Rather freeform jazz jamming with world music in the mix is the order of business here. It works through some more powered up sections before dropping down a bit to continue. The percussion is all over this thing. Around the six minute mark, it dissolves into a rather psychedelic bit of King Crimson like music. This thing continues to shift and evolve from there, though, working into some cool jazz and rock directions. This in some ways feels like an extension of the previous piece. It’s another meandering helping of fusion jamming. The percussion is extremely busy on this tune, too. In some ways, this feels even more like traditional jazz than that opening number did. I really like some of the keyboard jamming on this. There is a full percussion solo later in this piece. It also shifts towards Crimsonian territory again. More full fusion ensues beyond that, too. The guitar soloing gets intense and gloriously noisy after a time as this thing turns ever more powerful and crazed. Although this isn’t a huge change, there are some sections that have more hard rock oriented sounds. There are sections that manage to groove. If anything, this might be more mainstream than the two openers. Hints of jam band music are heard, too. Still, this is quite freeform and far from standard pop or rock music. It’s just more accessible and constant than the previous two pieces were. A mellower groove opens this with one of the coolest passages of the whole set. That holds it for almost the first minute and a half. Then it shifts to more pure jazz as they continue. The guitar guest some pretty tasty soloing in within the confines of this piece. It’s another that lands in the general jazz or fusion territory, but moves about quite a bit within that framework. There are definitely some exploratory jams built into this thing. Starting fast paced and a little off-kilter, this is more cool, rather freeform, fusion. This guts some definite Crimsonian weirdness built into it at times. We’re taken through a number of shifts and turns in what feels like one of the most freeform jams of the set. After a bit of applause, they take it out to mellower, melodic movement. Then it shifts to more Crimsonian oddities. It continues to evolve from there. This comes in much mellower than anything we’ve heard to this point and continues that way, building almost atmospherically. Then some keys threaten to really rock out as it works forward. It is weird and spacey, even when it does start to get a little more volume. It’s past the three minute mark before it starts to intensify, turning into a killer (but still restrained) fusion jam. After a time an insistent guitar part heralds a journey to a segment that feels like a more fusion based Allman Brothers. The cut continues to evolve from there, though. It drops back down to atmospherics before the eight minute mark, though, and gradually builds forward from that point. Weirdness takes over above a more driving rhythm section. This continues to evolve with some of the strangest music here. It gets pretty noisy as they continue. Eventually it works to more melodic fusion as they continue. More of a rocking kind of fusion number, this still has some weird twists and turns, but is more mainstream than a lot of the rest here. There is some world music and more built into it. It’s a great piece of music. In fact, it’s one of my favorites. It gets pretty intense at times. There is often a groove to this fusion excursion. Although the bulk of this is pretty typical fusion, similar to that heard throughout the show, there are some moments of intense jam band styled rock here and there. There are really some exceptional melodies and movements on this thing. Including some of the most intense guitar soloing of the set, this is a real jazz rocker. It’s a powerhouse number with some real drama and power and killer jamming. There is no reinvention of the wheel here, but somehow this thing really cuts a powerful line. It definitely gets a lot of modern King Crimson like jamming, too. There is a fairly extensive world percussion solo later in the track. We’re back into more typical jazz from there.